An amazing blend of greens and blues with a hint of purple - never fading to mud - its a handpainted yarn as you've never seen. 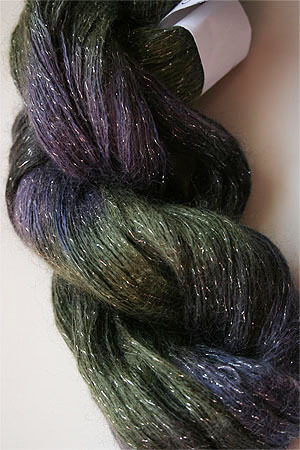 This new version of Silk Rhapsody glitter, is slightly lighter, with more yardage, and this color rocks. 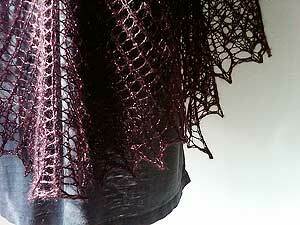 It's available with either Gold or Silver Lurex.